On Sunday evening, I met some of my favorite dinner companions at The Brahmin, a new restaurant tucked away on Stanhope Street. Knowing it was quite possibly our last chance to dine al fresco, we snagged a patio table right out front. We each settled in with a drink and then began analyzing the menu. I say analyzing because we really try to get an assortment of dishes whenever we go out together, and at a place like The Brahmin, where small plates abound, it's easy to do, but also easy to get carried away. We started at the top and worked our way down the menu voting on our faves and deciding what we could skip, and we eventually settled on 10 dishes. Our waitress offered to bring the dishes out in courses for us, and we definitely took her up on it for fear of having 10 dishes piled in front of us at once. We started off with one of the salad offerings: the arugula and goat cheese salad, which came with crisp prosciutto, fresh apples, and lemon vinaigrette. The crisp prosciutto was the shining star in this salad. Next we snacked on some fried pickles with a sweet red pepper sauce for dipping. The pickles could have used a little more seasoning, but the sauce helped. A wedge of potato and roasted onion frittata for $3.50 caught all of our eyes, and we were pleasantly surprised when it came out with a stunning pepper relish on top. The sweet relish really made this dish. We thought the tater tots accompanied by truffled ketchup, garlic aioli, and grainy mustard were a must-order, but like the fried pickles, they were lacking in seasoning. I found myself using them as a means to eat lots of truffled ketchup, which was awesome. Truffled mac and cheese was another must-order and was one of my favorite dishes of the night. I caught a whiff of truffle as soon as it was set down before us. And I found myself scooping more of it onto my plate throughout the evening. The grilled white asparagus wrapped in Serrano ham and served with a lemon vinaigrette was pleasantly salty and nicely charred. The beef short rib answered any cravings I was starting to get for fall comfort foods. The tender, well flavored short-rib meat broke apart with the mere touch of a fork, and the cauliflower-parsnip puree and pickled shallots with their own strong flavors were worthy complements. A plate of tomatoes and mozzarella drizzled with olive oil and seasoned with smoked sea salt was the perfect summer-ending dish. It reminded us that those last summer tomatoes are dwindling, and we savored these ripe red beauties. The grilled prawns were simply prepared and offered a hint of heat. The last dish, the tuna two ways, was also one of my favorites (though I heard that the bread that came with it, which I didn't try, was stale). Thinly sliced pieces of tuna were stacked on slices of watermelon for one of the "ways." And a cake of tuna tartare was the other. The dish was pretty ordinary, but in both preparations, I found the tuna fresh and nicely seasoned. It was just what I was in the mood for that night. The Brahmin is one of those places you should visit with a group so you can try a number of different dishes. The truffle mac and cheese, short rib, and tuna were the winning dishes in my book. The rest of the dishes were good but not earth shattering. The Brahmin is still fairly new, so I can see things just getting better from here. Our waitress was attentive (I usually think I'll be forgotten about when I sit on a patio), and she helped us figure out how many dishes we should get by talking us through them, explaining the portion sizes, and telling us about her favorites. I enjoyed visiting with Emily, Meghan, Daisy, and Amy, and we're already thinking about where we should go for our next dinner date. Are there any restaurants you think we should head to? Way back at the beginning of September on the Friday before Labor Day, Daisy and I met for a final summer lunch. It was her last day of having Fridays off for the summer and my last day of having half-day Fridays, so we knew we'd have to pick a momentous place. Since neither of us had been yet, we decided on Jason Santos' Blue Inc. Santos is easily recognized by his blue hair. You may have even seen him on Hell's Kitchen. At Blue Inc. he combines Asian, French, and American influences, as well as surprises diners with whimsical touches like liquid nitrogen. We started our lunch with cocktails. I went with the "Anorexic Model," not because of the name but because of the ingredients: Pierre Ferrand cognac, lychee bubbles, St-Germain, twiggy & berries. 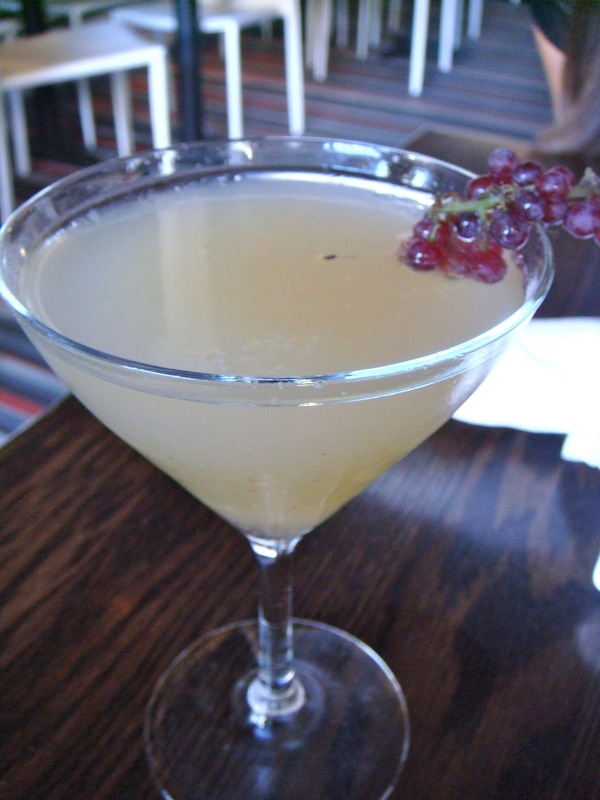 The drink was refreshing, and I loved the use of champagne grapes as "berries." Confronted with so many choices, we thought the best way to tackle the menu would be to order a few things to share. First up, lobster tacos. The thick, crisp taco shells came filled with mayonnaise-dressed lobster chunks, bits of mango, red onion, cilantro, and lime. We both enjoyed the mango and wished there was more of it. The lobster would have been better without the mayo, but I still liked the tacos overall. The black truffle and gouda tater tots (hiding on the "sides" menu) called out to both of us immediately. Unfortunately, they sound better than they actually are. A small chunk of gouda was embedded in each tot, and I wondered why the gouda wasn't stirred into the potatoes and dispersed throughout the tots. Other than that, the tots were crisp and salty, and as you can see, there were generous shavings of black truffle on top. Sticking with the black truffle theme, we ordered the Hell's Kitchen wedge, which came with red grapes, candied walnuts, crumbled goat cheese, and black truffle vinaigrette. The salad was a bit weak, as was the black truffle vinaigrette. I think this salad could have been really great had it started with a better chunk of iceberg lettuce, had a few more ingredients, and had a more flavorful dressing. Maybe we should have tried the old school wedge instead. We were intrigued by the half dozen mini Kobe corn dogs and decided to give them a try. For some reason, I thought the dog part of the corn dog would be mini as well, but we bit into the onion-and-cheese-batter to find chunks of full-size hot dogs. I would have liked a little thicker batter and a little less dog, but these were still interesting. Also, they are grease bombs, and six of them for two people is way too many. I'd suggest ordering them with a bigger a group. The dogs came with a trio of dipping sauces including a homemade ketchup, honey mustard, and a spicy sauce. Up until this point, I hadn't had any dishes that really wowed me. They were good, they had interesting concepts, but I could see areas where all of them could improve. Rather than end on a blah note, we split a root beer and toasted marshmallow milkshake. They actually split the milkshake into two glasses for us, and both of our glasses arrived with liquid nitrogen pouring out (and when our waitress saw that we wanted to take pictures, she added a little more for us). The milkshake was frozen--so much so that I could pick the glass up by the straws. It was kind of cool. We had to use the straws to kind of break into the milkshake to find the less frozen parts below. The flavor was really good, and I'm glad we ended our lunch with this sweet treat. And with the bill came another sweet treat: a lollipop for each of us to take home. All in all, I had a nice visit with Daisy, great service, and some interesting dishes. 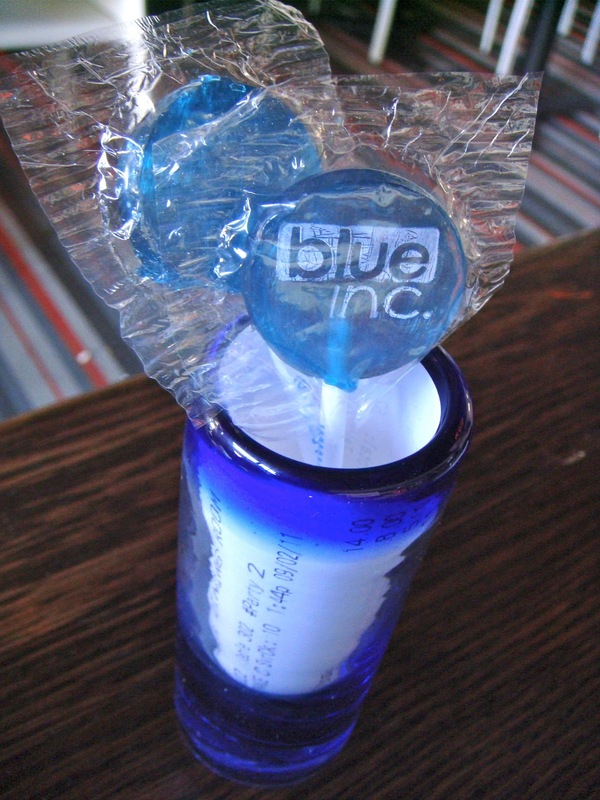 Have you been to Blue Inc.? What did you think? Given my new job, I spend a lot of time reading (and editing) Cook's Illustrated and Cook's Country recipes. Cook's Country seems to not be as well known as Cook's Illustrated (at least I've noticed that more people ask me what it is when I talk about my job and I didn't know it as well as Cook's Illustrated), but it has some truly great recipes, most of which are typically easier to make and require fewer ingredients than Cook's Illustrated recipes. But because the recipes are also developed at America's Test Kitchen, they undergo the same rigorous testing and guarantee the same success. I decided to try a couple Cook's Country recipes at home the other night: 30-minute meat loaves and crispy potato tots. I followed the recipe exactly for the meat loaves, so I'm not going to post it here, but I decided to have a little fun with the tots. Rosemary-truffle fries are one of my favorite indulgences, and I thought the flavor combination would translate well to potato tots and elevate them from simple side to something a little more upscale. Stir water and salt together in measuring cup until salt dissolves. Pulse potatoes and salt water in food processor until coarsely ground, 10 to 12 pulses, stirring occasionally. Drain mixture in fine-mesh strainer, pressing potatoes with rubber spatula until dry. Discard liquid. Transfer potatoes to bowl, and microwave, uncovered, until dry and sticky, 8 to 10 minutes, stirring halfway through cooking. Stir flour and pepper into potatoes. Spread half of potato mixture into thin layer on one half of large sheet of aluminum foil. Stir Parmesan, rosemary, and truffle oil into other half of potato mixture. Spread second half of potato mixture on other half of foil. Let cool for 10 minutes. Take a 2-inch wide piece of foil and fold it in half and in half again lengthwise. Use this as a partition between the plain and rosemary-truffle tots. Push each type of potato mixture toward center of foil, and place foil and potatoes in 8-inch square baking pan. Push foil into corners and up sides of pan, smoothing it flush to pan. Press each potato mixture tightly and evenly into pan. Freeze, uncovered, until firm, about 30 minutes. Meanwhile, heat oven to 200 degrees. Heat oil in Dutch oven over high heat until it reaches 350 to 375 degrees. Using foil overhang, lift potatoes from pan and cut each half into 1¼- by 1-inch pieces. Starting with the plain tots, fry half of them at a time, until golden brown and crisp, 5 to 7 minutes. Make sure to stir the tots when you drop them in the oil so they don't stick together. Stir occasionally as needed to separate and toss them. Drain tots on wire rack set in rimmed baking sheet, and place in oven. These were so good! The outsides were crisp and the insides were soft and fluffy. The rosemary-truffle tots had a noticeable, but subtle, taste of truffle oil. I am never buying a bag of frozen tater tots again -- uh, not that I've ever done that before, I mean. What kind of tots would you make? Have you heard of LevelUp? It's a new way to pay and get deals at participating restaurants. You simply sign up and download the app on your phone and then use it to pay. LevelUp recently contacted me to see if I'd be interested in trying out the app. They gave me some credit to use, and I was off checking their site to figure out which participating restaurant we should try. I saw that Abigail's, a new restaurant in Kendall Square, was on the list and thought it would be fun to go there. We live pretty close to Kendall Square, and I always like finding new go-to restaurants nearby. So on Friday night in the pouring rain, Jeff and I drove down to Kendall and drove in circles for a while trying to figure out where to park. We finally found the Kendall Square South Garage, which is just a couple blocks from Abigail's and has an $8 flat rate in the evenings. Abigail's doesn't take reservations for parties of fewer than six people, so we knew we were taking our chances heading there on a Friday evening, but when we got in, the hostess told us it would be about a 20-minute wait. That sounded reasonable to us. We snagged some seats at the bar and started looking over the wine list to pass the time. The bartender came over to talk to us about the wines and recommended an off-list bottle: Adelsheim Auxerrois 2009. We sampled the wine, liked it, and decided to get a bottle. The bartender described it as a combination of an unoaked chardonnay and pinot gris. I found that the longer the wine sat open, the more it developed welcome crisp pear flavors. We sipped our wine at the bar for a while -- about 40 minutes -- and I decided to go over and check on the status of our table. The hostess told me we were next on the list, and it should be about 10 minutes. So we kept waiting. About 5 minutes later, our table was ready. We paid for our wine at the bar, and then the hostess showed us to a table -- a wobbly high-top in the bar area. I was disappointed to say the least. I didn't really wait all that time to be seated at a bar table, and a shaky one at that. Luckily, I was enjoying my wine, so I let it go and began looking over the menu. We wanted to try a few different things to get a good sense of the food, so we decided to share the Gouda fries with chicken gravy and bacon, the chicken and mushroom skewers, and the cucumber salad to start. After we placed our order, our waitress brought over some fresh focaccia bread and olive oil. The bread had a nice crust and a chewy texture and helped take the edge off while we waited for our appetizers. The chicken and mushroom skewers were lightly seasoned and the chicken had a tasty char on it. Some tender sesame broccoli complemented the meatier textures of the chicken and mushrooms. The cucumber salad really impressed me (and Jeff). The menu described it as having bibb lettuce, pickled red onions, feta cheese, and honey marjoram vinaigrette and made no mention of the gorgeous tomatoes that adorned the plate. My eyes lit up when I saw them. The dressing and pickled onions added loads of flavor to this seemingly simple dish. Of all the appetizers, I thought I would love the Gouda fries best. I mean they're fries, covered with Gouda, chicken gravy, and bacon -- how could I not love them? Unfortunately, I found them under-seasoned and too light on the bacon. Our waitress noticed we hadn't cleaned the plate, and I mentioned that I thought they were good but I had higher expectations of them. When she came back, she told us she was taking them off the bill since we were disappointed. I thought that was a really nice thing to do (and a smart move on the part of a new restaurant). I hope the chef works out the kinks and knocks it out of the park with those fries next time. For our entrees Jeff opted for the grass-fed boneless ribeye, and I went with the all-natural bone-in pork chop. The pork chop, cooked to medium and moist and juicy, came with honey roasted grapes, black pepper dumplings, and mustard greens. I was really intrigued by the black pepper dumplings but thought they tasted more like nutmeg than black pepper. And while the word dumpling makes me think light and pillowy, these were dense and dry. At least the pork chop was really good and the honey roasted grapes made for an unusual and tasty pairing. I even enjoyed the mustard greens, and I am usually not a greens person. Jeff's ribeye came out medium, just like he ordered, and was topped with a rich marrow butter and prepared with green peppercorn demiglace. He thought it was juicy and seasoned very well. I stole a few bites and can confirm that. We were very full at this point and planning to leave without dessert, but our waitress talked us into trying the flourless chocolate cake. She described it as a really fudgy brownie with walnuts, served with ice cream from Toscanini's and a tart cherry sauce. And that's exactly what it was. The cake was definitely more brownie-like than cake-like. Jeff enjoyed the ice cream, and I was smitten with the sour cherry sauce. Finally, we could eat no more, and it was time to pay with the LevelUp app. When our waitress brought the bill, I explained that I wanted to use the app, and she went to get another phone, which she used to scan a QR code on my phone. I was even able to set the tip percentage using the app and didn't have to do the math myself. It was quick and easy. Just for using the app at Abigail's, we got $5 off our bill, and as I mentioned above, LevelUp gave me global credit to use for dinner. According to LevelUp, the more I pay with the app, the more credit I can unlock at different participating restaurants. Since it was so easy to pay with the app, I can definitely see myself using it again. I can also definitely see myself returning to Abigail's. Our waitress (Rebecca) was really sweet and attentive. She knew the menu well and knew exactly what to do when I wanted to use the LevelUp app. We had some great dishes and some okay dishes and a nice bottle of wine. I liked the atmosphere and hope to return for dinner (or maybe brunch) some time soon. Abigail's is definitely a welcome addition to Kendall. I do a silent cheer each time a new restaurant moves in. What new restaurants have you been to lately? What do you think of using an app on your phone to pay for dinner? 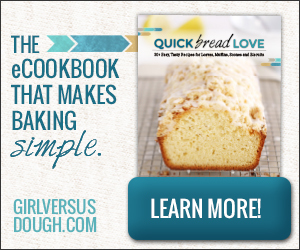 And I have a lot more fall cooking and baking planned, so I'm sure I'll have some new favorites to share soon! What's on your list of things to make this fall?